Crafting chinks & chaps, including shotgun chaps, batwing chaps, and more.. for more than 50 years. 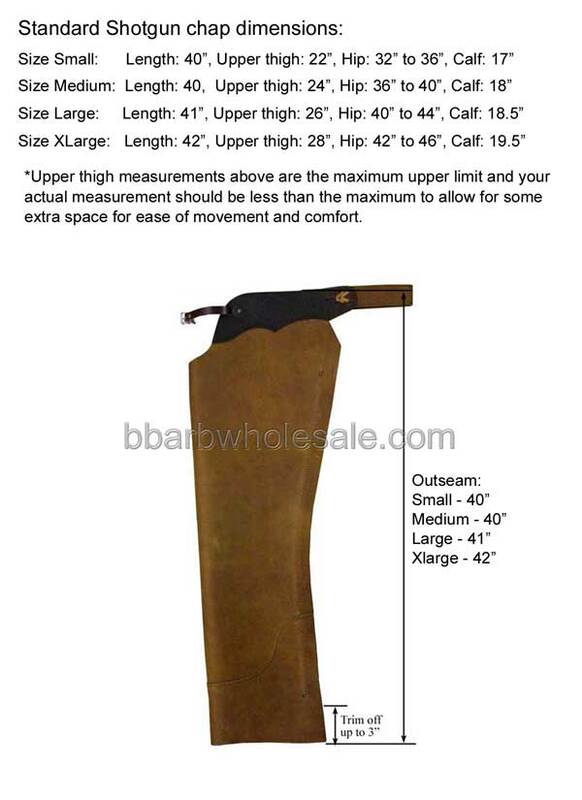 We have a large selection of chinks & chaps in stock and also offer custom chaps. Hello, this is my 2nd order from you. These are some of the best (if not the best gloves I have ever used). After my last order, I put a link on my website (500 members) http://www.arkansasbiker.net and gave my review of these gloves. 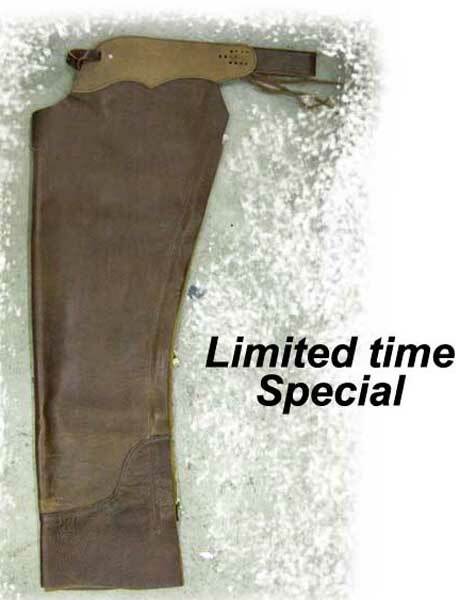 Limited Special!! We found a good buy on leather and are passing the savings to you! This is the perfect shotgun chaps for pleasure and trail riders. It is soft and comfortable yet durable. The colors will range from medium to dark brown with most of the in stock pairs being shades of brown. If you have a certain color in mind, you may call us to see if it is in stock. 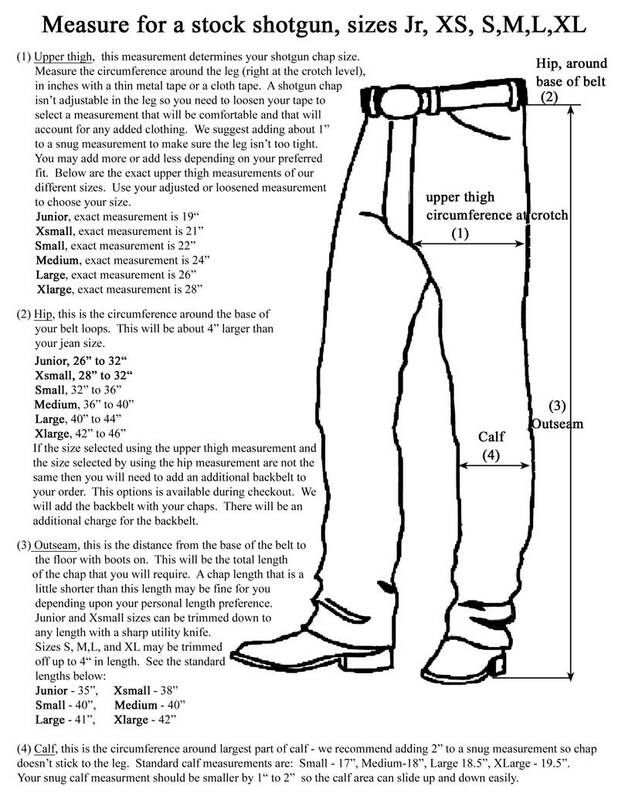 For other helpful info about chaps, measuring for custom chaps, info about leather, and etc, please look at the links under the gold colored (question mark) ? at the top of the page. Western Conchos, Ranger star, 1.5"
Western Conchos, Nickel star, 1.5"